Refugee camp in South West Kabul Afghanistan near Charah Qambar. 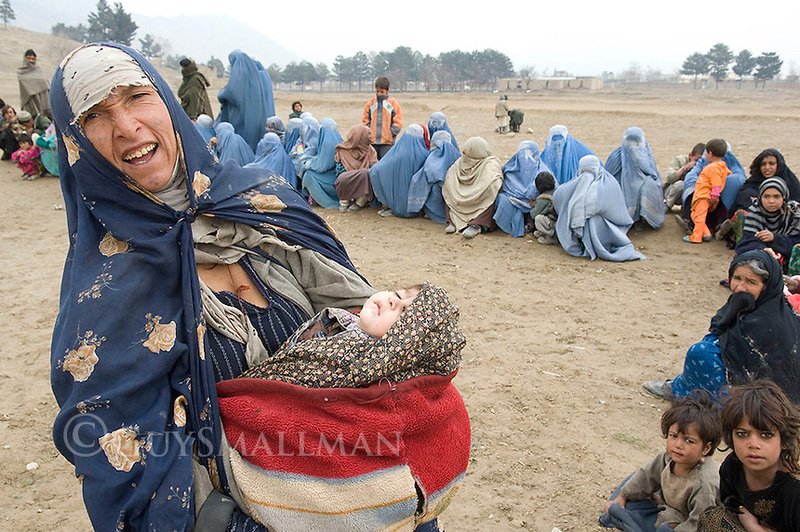 The refugees were from Sangine in the Helmund province of Afghanistan. They were also a few families from Kandahar. They had fled the fighting between the Taleban and Nato forces. On March 2nd there were chaotic scenes as refugees queued for aid (clothes and blankets) being distributed by an NGO.